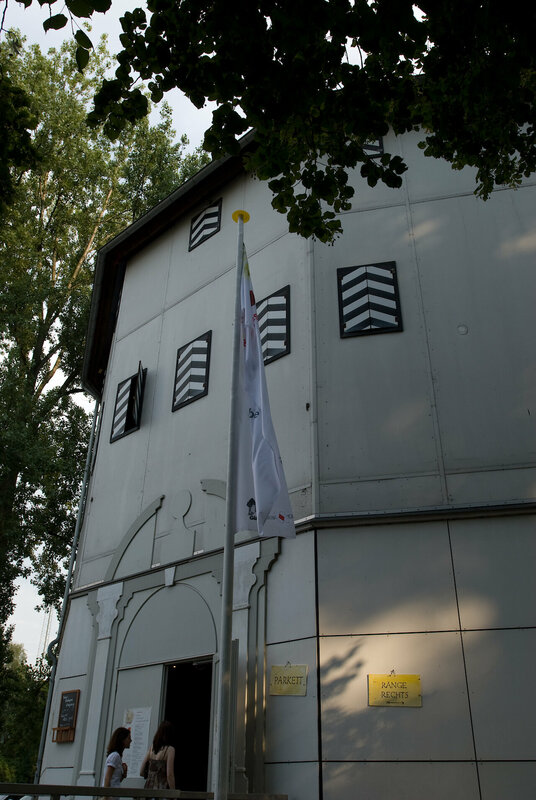 Such was the name Shakespeare fondly gave to “his“ Globe Theatre, built on the south bank of the Thames in 1599 by the theatre company “The Chamberlain's Men“. Shakespeare, as part -owner of the theatre company, not only wrote plays for them but appeared with them on stage as an actor. The Globe was one of the five or six playhouses in London at this time. Such permanent venues were, however, a novelty in Elizabethan England. It wasn't until 1574 that the first of these “playhouses“ - “The Theatre“- was built by James Burbage. He was also later to join “The Chamberlain's Men“, which was one of the most successful companies of the period. 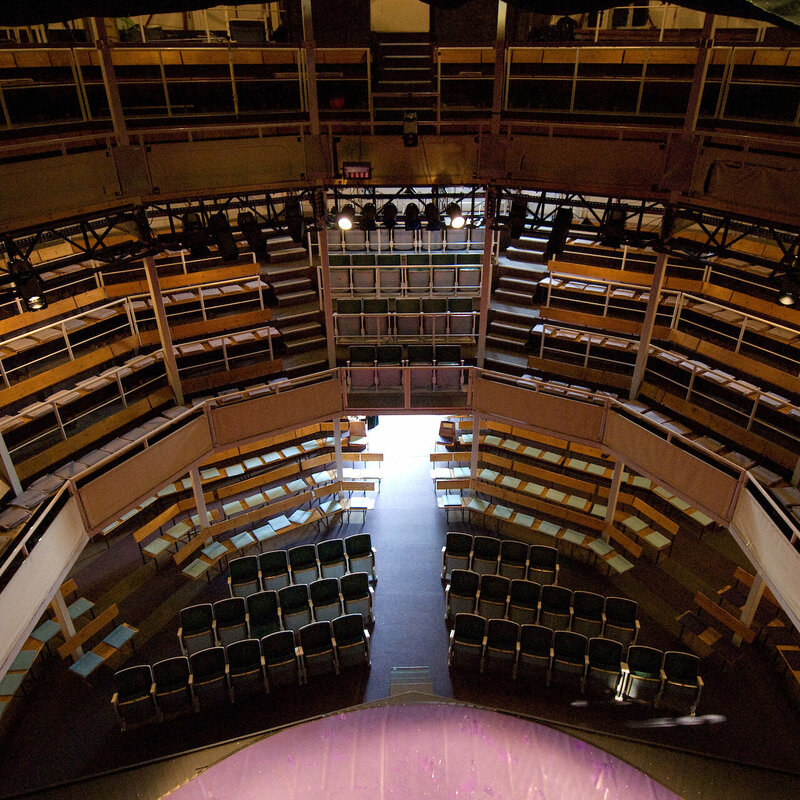 In its construction the Globe followed the original form , that of the amphitheatre. It was characterised by the close contact established between actors and audience, who could directly follow the action on stage from the stalls, pit and the two circles. No accurate plans of the Globe have survived. All that is known is that it was a wooden building with a thatched roof, probably a six-sided construction with a three- sided thrust stage. The proximity between audience and player could, however, also have unpleasant consequences for the actors. The typical spectator of the Elizabethan theatre - and the Globe could accommodate 1,200 - expressed his displeasure over a play in the most direct and drastic fashion - he threw the remains of his picnic at the actors. This seems, however, to have rarely happened to Shakespeare's theatre company, a fact that can be drawn from the often envious comments of their competitors. The first Globe Theatre didn't stand for long, as it was burnt to the ground in 1613. The second, built of stone, fell victim to a different kind of fire - that of the hatred of the Puritans-, who ordered its demolition in 1644.